This week we have been venturing into the world of Geography as part of a project initiated by Jo. 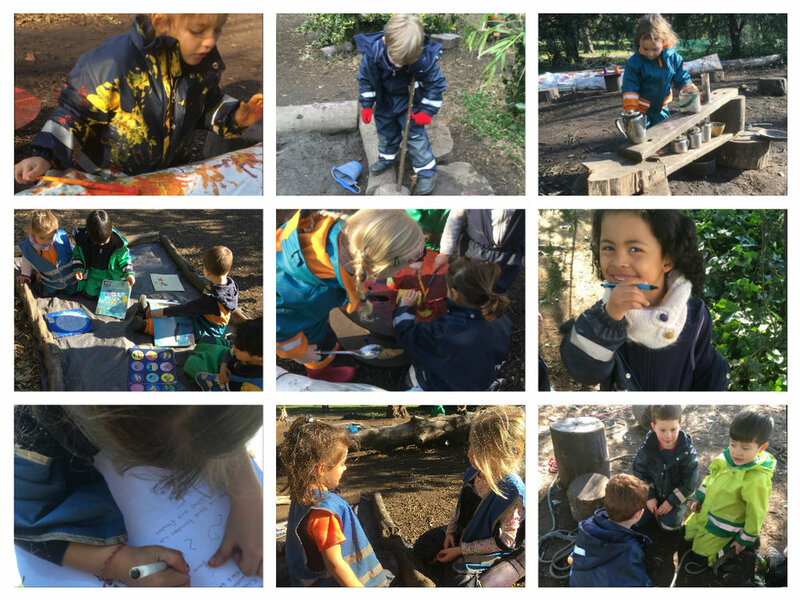 After having already made contact with a number of other outdoor nurseries and forest schools around the UK, the children where shown a map of the United Kingdom to see where these similar nurseries were located. Firstly, we all had to work out where we were on the map, this in itself was a really fascinating discussion, understanding the shape of the United Kingdom and where it was located in the world! The children wondered what the children in these other nurseries did that could be the same as us and what they did that was maybe different. We looked together at some photos from the nursery websites and noticed that one had a hammock. The children thought they would quite like a hammock in our forest. In another picture, we saw children exploring on a beach, the children were amazed that some outdoor nurseries could be on a beach where there were no trees! The educators wondered if the children would like to write a letter to the children in another nursery, an idea that they found really exciting. They thought carefully about what they wanted to tell the children about our forest and what they wanted to ask about theirs. One of the educators scribed the letters for the children, and afterwards they wrote their names. Some of the children wanted to draw pictures to send in the letter, whilst others suggested taking photos of Fulham Palace gardens to send the other children, so off we set around the gardens to take some photos. There were so many interesting things to capture! When the photos were printed and the letters were written, all there was left to do was to put them in an envelope, write the address on it, stick on a stamp and post them. Now we have to wait excitedly to see if the children write back! Last week we decided to leave the huge balancing tree wrapped with the painted calico. Interestingly, upon returning on Monday we noticed that some of children who had visited the park during the weekend had added to the canvas. For some of our children who were off over half term, this was the first time they had seen our art installation and were naturally keen to add to it with paint, chalk and pens. Throughout the week the children have been adding more creative touches, hand prints being a particularly favoured technique. When the rain arrived on Thursday it was a great opportunity for the children to observe what happened to the paint and chalk when it became wet, using their fingers to smudge the colours around and blend them together, making new and fascinating designs. Having the wonderful spring weather has also been a great opportunity to continue our regular tool based activities. With a lovely variety of green wood donated by the gardeners we have also been learning about the different types of wood and observing the different colours of the grain. As always, the billhook has been very popular as the children love the process of creating their own mallets. Alongside this, the children have also been using the bowsaw and pinion drill in creating items for their role playing and construction in the forest. As the children’s confidence grows further through regularly opportunities to try these different tools we will then be developing some project ideas so that they can start to combine component parts to create larger and complex items. We hope you all have had a lovely week too and we look forward to what next week brings! Older PostChiswick - Zip line fun!